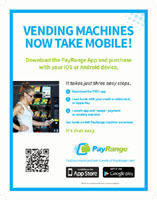 Click the above video to see how simple it is to install PayRange on your MDB vending machine. 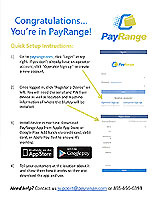 Click the above Video to see how easy it is for your customer to use PayRange! 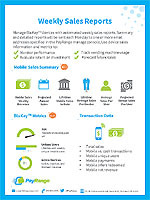 Click the above Video to See How to Create a Discount Offer Note: If you do not create a tag for your Discount Offer, it will automatically become attached to EVERY machine registered to your operator account. 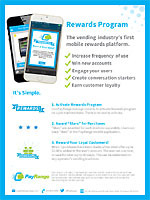 When you do create a tag, you must add it to the specific machines that you wish the offer to be attached to. 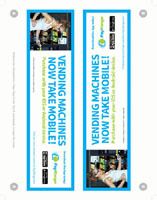 Point-of-sale material that may help you promote the mobile payment option. 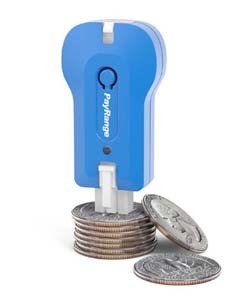 DS3002 - PayRange BluKey PLUS Cashless Adaptor- FOR MACHINES WITH OR WITHOUT CARD READERS! IN STOCK READY TO SHIP!